Ok, now onto our most commonly heard questions. 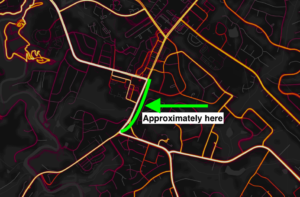 Every time a four-lane road is up for repaving, the Athens-Clarke County Transportation & Public Works department (TPW) does an analysis of traffic to determine if it makes sense to three-lane the road to make it safer. If the conversion to 3 lanes creates enough room, TPW will add bike lanes. 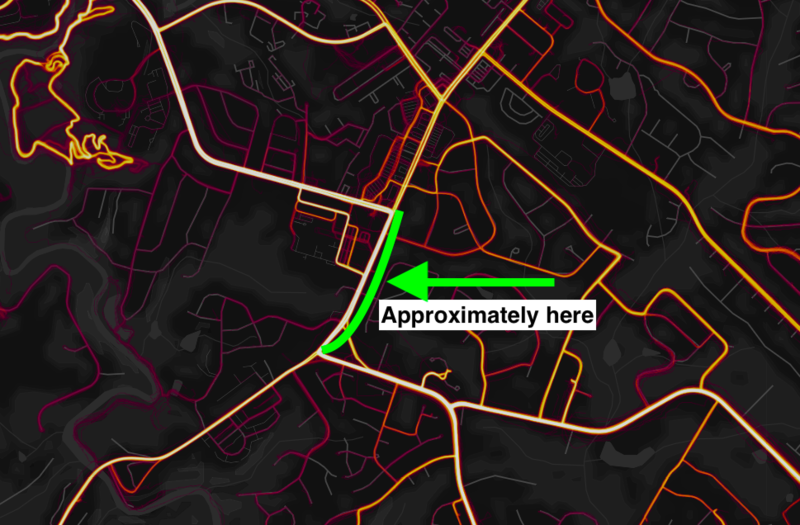 Traffic analysis indicates that this section of Barnett Shoals will work as a 3-lane street. 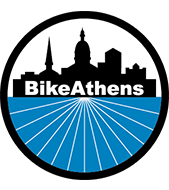 But unlike past practice, this time TPW asked the folks working on the Athens in Motion Plan to design the best bike lanes they could. The result is the kind of innovative design that we should see more of once the Athens in Motion Plan gets voted into place next month (we hope). But normal bike lanes would be better, wouldn’t they? Protected bike lanes AKA cycle tracks AKA on-street bike paths are the “best” bike infrastructure around. They are the gold standard and increasingly becoming the standard of bike lane design. The protected nature of the on-street bike path reduces conflicts with cars and virtually eliminates the danger of hit-from-behind crashes. In a recent study from Minnesota, streets with protected bike lanes recorded ZERO unsafe passes (closer than 3 feet). Athens is aiming to attract new users and increase safety and comfort. Protected bike lanes are the most comfortable and desirable design. Why are the bike lanes both on the same side of the street? 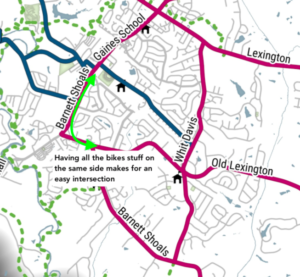 There are 4 main reasons the Barnett Shoals on-street bike path has both bike lanes on the same side: future connectivity, more accessibility, more protection, and fewer conflicts with the fire house driveway. Future connectivity: the soon-to-be adopted Athens in Motion Plan wants to run a path out Barnett Shoals. 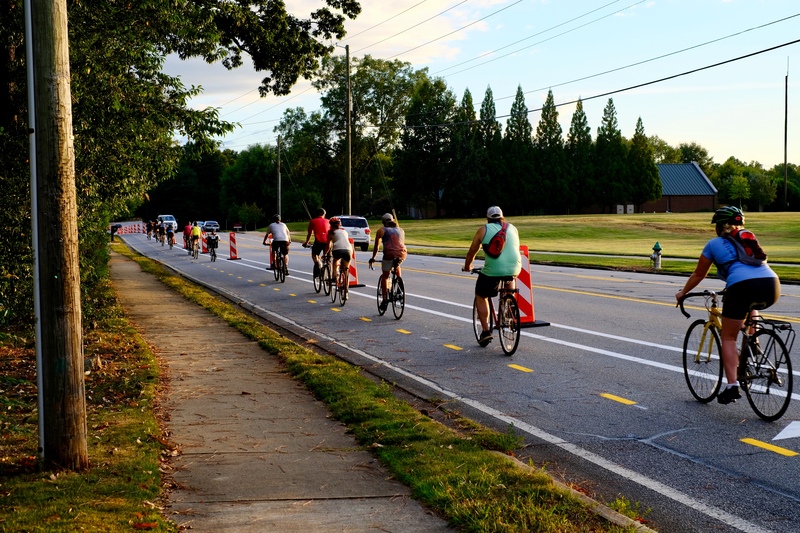 Placing both bike lanes on the southeast side of the street creates a seamless connection along Barnett Shoals. Bike lanes all the way! People on bike could bypass the Whitehall intersection entirely. 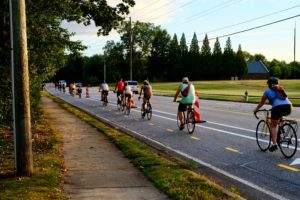 For the moment, bike riders looking to proceed down Barnett Shoals or Whitehall can use the bike lane until the dead-end spur and then make a left turn back onto the Barnett Shoals to proceed through the Whitehall intersection. Accessibility: this design puts the bike lane on the same side of multiple neighborhoods. This makes the lanes much easier to access for a lot more people. Protection: Placing both bike lanes on the same side the street is a more efficient use of space, which allows for the addition of vertical separation from traffic. If bike lanes were on both sides of the street, there would not be enough space for physical protection. Furthermore, the two-way cycle track allows the “outer” lane to face traffic and puts more distance between riders on the “inner lane” and drivers moving the same direction. This virtually eliminates the risk of a hit from behind crash. Hit from behind crashes are the most dangerous. Fire House: Placing the bike opposite the Fire House #7 eliminates conflicts between fire trucks and people on bike. Won’t this cause more crashes? NO. Converting a 4/5 lane road to a 3-lane road is a proven “safety countermeasure.” This is true around the country and here in Athens. For example, when Baxter was turned into a 3-lane road, it reduced crashes by 52% and reduced the crash rate by 51%. While there may be an adjustment period, the conversion to 3-lanes makes our streets safer and calmer. Speeds become more consistent, there are fewer sudden lane changes, there are fewer crashes between moving vehicles and vehicles that are stopped and waiting to turn. Do people even bike out there? Barnett Shoals is frequently used by people on bike. Brighter colors mean more people riding. Barnett Shoals is very bright because a lot of people ride it. 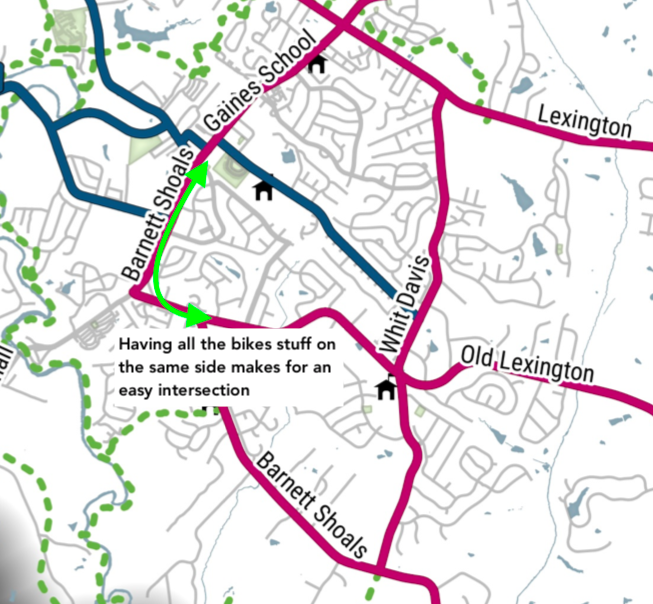 Plus, its proximity to all the shopping, eating, and retail along Barnett Shoals / Gaines School makes it an ideal location for bike lanes. Bikes are simply a different form of transportation. 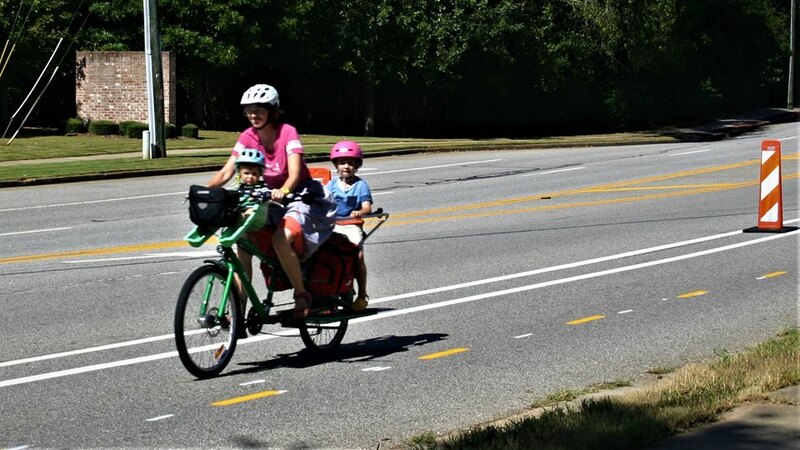 The destinations that make Barnett Shoals attractive to us when we are in cars are the same places that make Barnett Shoals attractive when we chose to bike. How do I turn left from the Bike Lane to College Station? 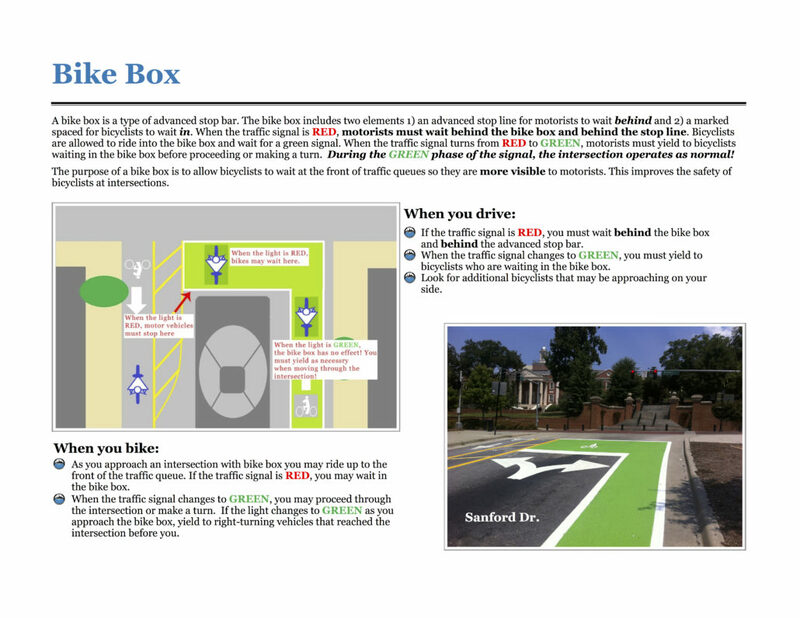 Use the bike box or activate the pedestrian signal and make a two stage crossing. Since this is a temporary project, the signal timing has not yet been perfected. If made permanent, the ACC TPW can dial-in the signal timing to provide riders and drivers more clarity.